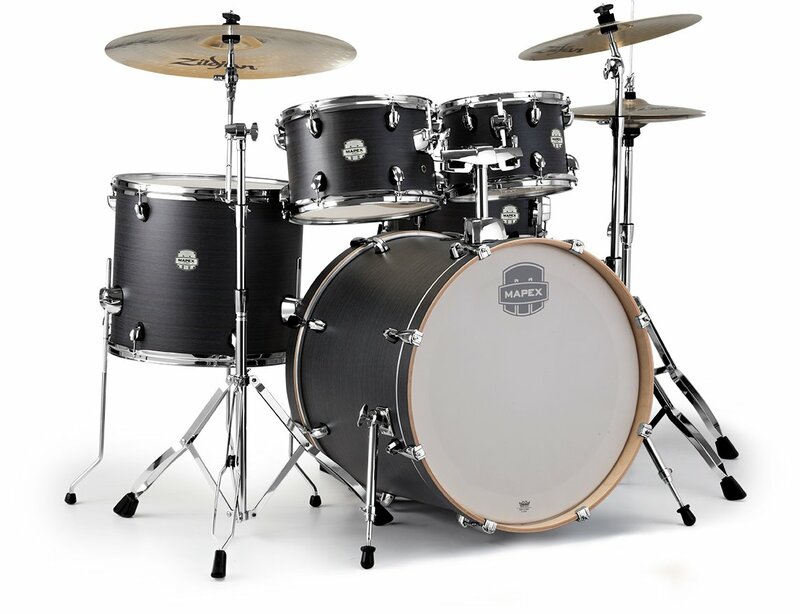 The 5-Piece Rock Kit includes 10" and 12" bass-mounted rack toms, a 14" snare drum, and a 22" bass drum. The smaller and shallower rack toms make placement easier and overall set-up more comfortable while the large floor tom delivers a big sound. Storm 22"x18"Bass Drum with Mount, 10"x8"7 12"x8" Toms, 16"x14" Floor Tom, 14"x 5" Snare. Floor Tom Legs (x3), TH656, B400 Boom Stand, C400 Cymbal Stand, H400 Hi-Hat, S400 Snare Stand. The 5-Piece Rock Kit includes 10" and 12" bass-mounted rack toms, a 14" snare drum, and a 22" bass drum. The smaller rack toms make placement easier and overall set-up more comfortable while the large floor tom delivers a big sound. 22"X18", 10"x7", 12"x8", 16"x14", 14"x5"